International Migrants Day is marked annually throughout the world to celebrate the contributions of migrants to the countries they reside in. This is the 15th year in which human rights organizations and the Tel Aviv Cinematheque mark the day simultaneously with cultural events around the world. 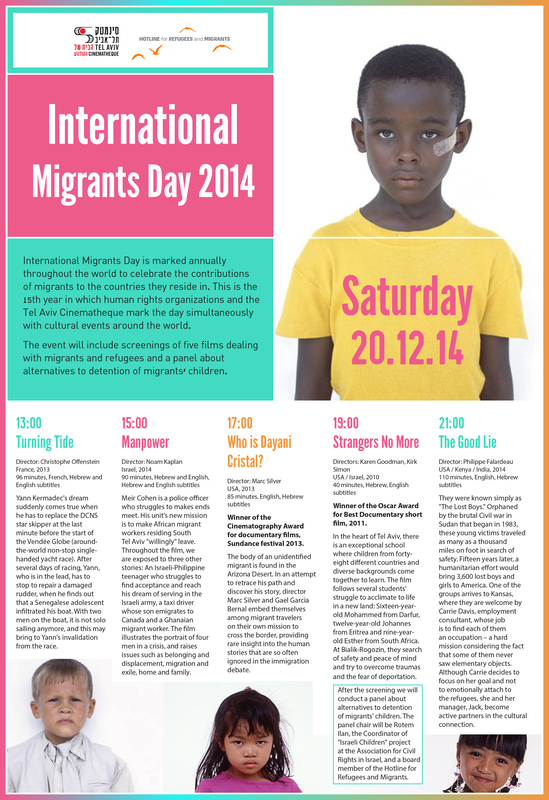 The event will include screenings of five films dealing with migrants and refugees. Join the Facebook event and invite your friends in Israel!